Your Lucky Flower actually grows in the wilds and blooms at night. This amazing flower is considered a treasure for all Witches, Nocturnal or not. According to “The Kabalistic and Occult Tarot of Eliphas Levi” Evening Primrose is essential for all Rituals associated with the Moon as it should ‘decorate the altar with garlands of armoise (query, artemisia and mugwort), evening primrose and yellow ranunculus’. Moreover, this amazing flower can help you radiate beauty from the inside and call friends and lovers. Where is Sun, shadows flee. Likewise, where Sunflower is present, negative energy can be transformed to Good Magic. Hence, Sunflower is used to conjure the forces of Good and Light. It is believed to attract good luck and beneficial entities to the ones who live near it. 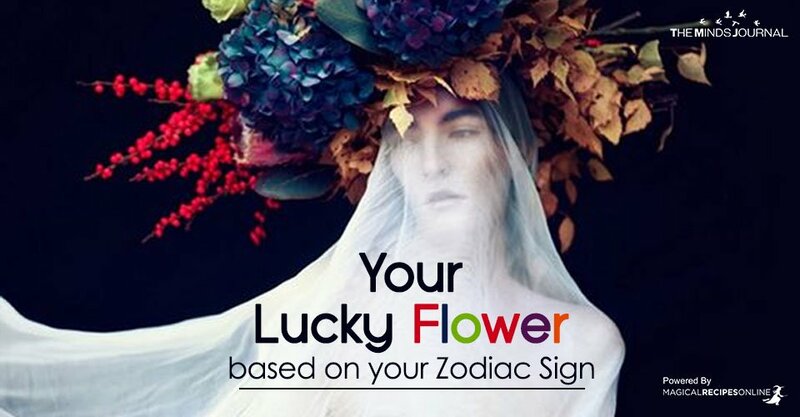 Your lucky flower is also considered to enhance fertility and abundance. Dignity and Elegance are the keys of this magical flower. It is used to heal one’s self-esteem. The ones who are blessed with this flower are believed to shine over difficult situations, as winners and keepers of the Word. Dahlia is also believed to attract wisdom and arcane knowledge. You are blessed with Magical Powers and you will soon learn how to use them properly. Passion Flower is used as an active ingredient in many Love Spells to bring or raise passion and it is a herb of Sun. The plant is used both to attract a passionate lover and instill with passion the Witch him/herself. It can also be used to bring passion in a current relationship and raise long forgotten feelings like a Phoenix from its ashes. Passion Flower can bring passion but has also the power to moderate it. It is an excellent herb to use with the appropriate incantations and rituals for home blessing and to bring peace. Queen Elizabeth Root comes from the Magnificently Beautiful and Fragrant flower called Iris. Talking about Iris, we mean the species of Iris Germanica, Iris Florentina, and Iris Pallida. Iris is the name of Goddess Iris, the Messenger of the Gods, often depicted carry the Kerykeion – Caduceus. Like Hermes, Iris is a Messenger of the Gods. Her symbols are also the Rainbow. This magnificent flower is believed to attract men and good luck. This flower is under Saturnian influence but in a very good way. It is believed to stop nightmares and restore happiness and peace in the darkest times. Moreover, it is loved by witches as it was used in ‘flying’ recipes. Morning Glory helps us elevate our consciousness and seek answers which are not accessible in the physical plane.